We’ve all received bad advice before. Sometimes it’s from a friend or family member; other times it’s from a colleague or boss. 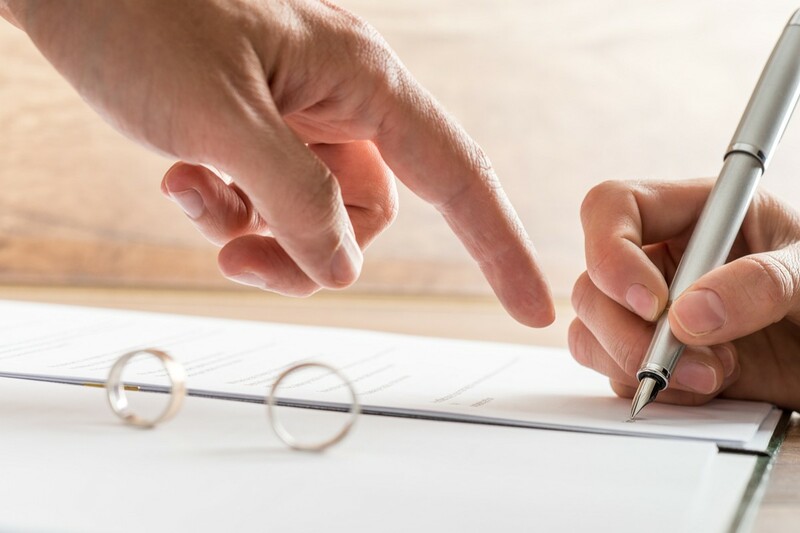 When it comes from your divorce lawyer, however, the consequences can be extremely damaging. Unhealthy custody situations, mental-health setbacks, or significant financial loss can result from a legal professional’s poor guidance. We talked to several single moms who received bad advice, and they have chosen to share their stories in the hopes that others will not make the same mistakes. In situations of domestic violence, it’s important to retain a lawyer who not only believes your story but also will help ensure that you and the children remain safe and protected from the abuser throughout the process and once the divorce is final. Often, women leaving abusive relationships are so weak that they do not know what to do or ask for, and they rely on their lawyer’s experience and expertise to protect them. But in Jordan’s case, that simply did not happen. Even with a history of verbal and physical abuse, Jordan’s lawyer advised against a restraining order. As soon as the divorce commenced, Jordan’s ex began harassing her at work, but when Jordan requested a restraining order, her lawyer told her to wait until their court appearance in a few months. Jordan documented the harassment—she printed every e-mail and text message to prove his abuse and even spoke with her attorney about his excessive drinking while the children were in his care. But when it came time for court, Jordan’s attorney did not use any of her evidence, explaining that they had not previously established a pattern of abuse. During the custody and financial battle, Jordan’s lawyer once again failed to properly counsel her client. One of Jordan’s initial requests was to create a temporary visitation schedule, but her lawyer advised her to wait until their court appearance. Jordan’s ex chose a different route. Jordan and her ex chose to use a mediator to help settle their case, hoping they could work together to create a fair solution. However, during the meetings, Jordan repeatedly stood up to say that she did not agree with her ex’s proposals, and she requested a guardian ad litem for the children. She was told to sit down. Jordan refused to sign the mediator’s plan because it included very minimal child support based on a fake schedule her husband submitted, and she knew the shared placement and custody was not in the children’s best interest. But her lawyer told her she had no choice; she was forced to sign the agreement. An inequitable distribution of financial assets is a key complaint among many in divorce situations. Like Jordan, Lianne left an abusive marriage, and her ex was able to manipulate the situation for his own financial gain. Before her marriage, Lianne was a single mother working two jobs and saving to purchase income properties. Over a 10-year period, she slowly put money away, studied the real estate industry, and focused on her goal of providing a better life for her family. But when she married, her money and her homes became joint assets, which she lost most of in the divorce. Lianne was also forced to sign an agreement that she fought against, knowing it was not in her best interest. She was adamant that abuse be the reason for divorce, argued for a fair split of all property, and requested that the agreement clearly state that Lianne had a right to remove her personal items from his home. In court, Lianne was presented with an agreement that did not include any of her requests and gave her ex a disproportionate amount of their property. Lianne hoped for half of everything, but she estimates that she received only one-third of their assets. Even when a divorce is amicable, a bad lawyer can bring tension to an otherwise friendly situation. Laura and her husband drew up an agreement together. They had decided their terms without any legal intervention, agreeing on the amount of child support and alimony, visitation, and even expenses for the dogs they shared. But once a lawyer got involved, everything changed. Immediately, the other lawyer found problems with the contract, and the two lawyers began to debate each other. Both lawyers convinced their respective clients that they were acting in the client’s best interest, but the bills piled up. After a year and a half, an agreement was finally reached, and it was exactly the same as the original. Going through a divorce is challenging, no matter the circumstances, and it can be hard to know who to trust. As newly Solo Moms, we have to focus not only on creating a new life for ourselves but also on effectively untangling the old one. While there are undoubtedly good lawyers, there are also plenty who counsel their clients poorly. The best advice these women gave? Question everything, and get a second opinion when you feel something may not be right. If you would like more support and information about divorce, join our closed Facebook group, ESME Divorce.